This shot is from a UIC parking garage on Harrison. I got here about 45 minutes before sunrise and ended up staying right up until when the sun broke the horizon. This is one of the last images I got of the morning as the clouds started to come in at just the right time. 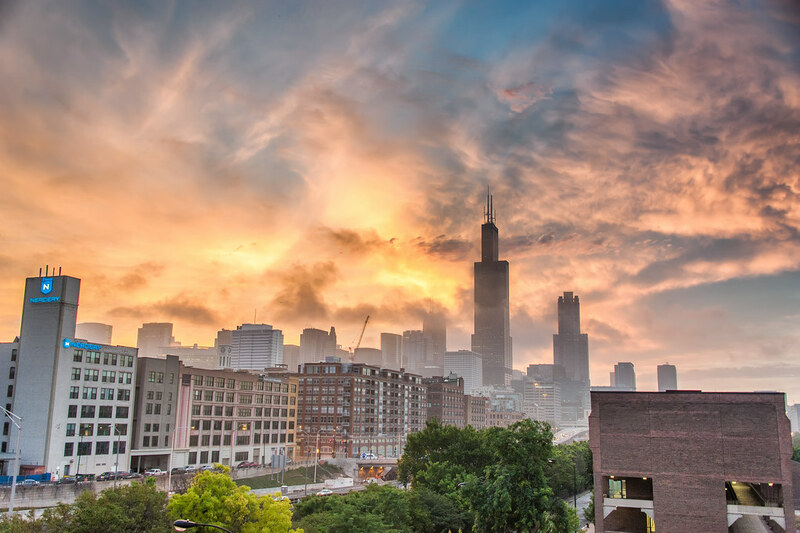 The Chicago Skyline during a colorful sunrise taken from the UIC campus. The discoloration of the light in the evening and morning are an impact of the refraction of the light of the particles and compounds in the atmosphere. Make My Essay This is the same cause the sky is blue (refraction of light by the dominant factor in the atmosphere produces a wonderful nitrogen blue) The reds and oranges you understand are often particulate carbon in the air.